SASSER PROPOSED CONSTRUCTION OF THE "THE SANCTUARY"! 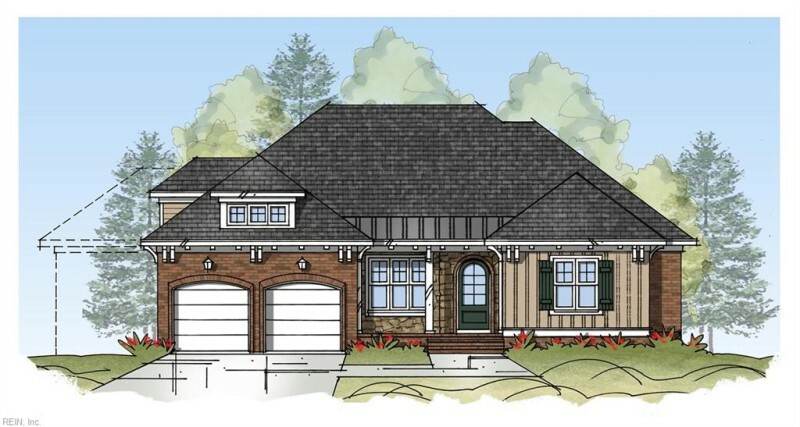 WITH OVER 2962 SQ FT OF PURE CRAFTSMAN ELEGANCE, YOUR BUYERS WILL LOVE TO CALL THIS HOME. THIS RANCH STYLE HOME FEATURES OPEN FLOOR PLAN WITH A TOUCH OF CLASS. WELCOME YOUR FRIENDS & FAMILY INTO THE LARGE FOYER FOR HOLIDAY DINNERS IN THE SPACIOUS DINING ROOM FEATURING THE PASS THROUGH BUTLERS PANTRY / WET BAR OR ENJOY FAMILY DINNERS AROUND YOUR LARGE GRANITE ISLAND THEN HUDDLE AROUND THE FIREPLACE IN GREAT ROOM TO WATCH A MOVIE OR READ A BOOK. THEN RETREAT TO THE MASTER SUITE FEATURING DOUBLE VANITY SINKS, SOAKING TUB, SEPARATE SHOWER ENCLOSURE AND HUGE WALK IN CLOSET. THIS ONE STORY HOME ALSO BOATS A LARGE BONUS ROOM WITH A FLEX ROOM GREAT FOR OFFICE, BEDROOM, OR GUEST SUITE! EVERYTHING YOU HAVE BEEN LOOKING FOR WITH THE EASE OF ONE STORY LIVING, EVEN A COVERED BACK PORCH FOR QUIET NIGHTS AT HOME OR PARTIES WITH FRIENDS. PICTURES ARE OF SIMILAR MODEL. HOME CAN BE CUSTOMIZED! Ready to visit 233 Wentworth? Request a free property tour! Send me more information about the listing at 233 Wentworth, Suffolk, VA 23435, MLS# 10239673. This 4 bedroom, 4 bathroom home located at 233 Wentworth, Suffolk, VA 23435 has approximately 2,962 square feet. It is currently listed for $599,900 and has a price per sqft of $20,253. This home is currently Active under the MLS#: 10239673. This listing is provided by The Real Estate Group. 233 Wentworth Court, Suffolk was built in 2019. It has Garage Att 2 Car parking.The kitchen includes Dishwasher, Disposal, Dryer Hookup, Microwave, Range, Washer Hookup. 233 Wentworth is part of the Governors Pointe neighborhood located in 23435.